High-Performance Computing staff have been hard at work since last November installing the latest iteration of UNT's Talon HPC system. The system provides a computing environment that coordinates hundreds of individual compute servers and allows UNT researchers to run large and complex calculations that model elements at the atomic level all the way up to structures on a cosmic scale. This third major upgrade of the Talon HPC system is expected to be available to UNT researchers by the end of February, 2017. Read more. January brought the new year and new digs for two University IT departments – same great services, different locations. Movers from Facilities Services recently helped to relocate two UIT teams. Effective Feb.1, the Microcomputer Maintenance Services Shop opened for business in Sage Hall, Room 130, and the Research and Statistical Support team of Richard Herrington and Jonathan Starkweather moved to the General Academic Building, Room 535. Read more. Every once in a while, I come across a commentary that seems to lodge in my brain -- well, not exactly lodge, but rather get stuck, because it doesn't seem to quite fit my observation of the online world. The latest of these is a post on the Educause web site titled, "Can Higher Education Save the Web?" At first glance, this is interesting, because higher education kind of created the web, so saving it would seem right in higher education's wheelhouse (if higher education were a batter in baseball or a nautical helmsman.) But, on further reading a few things about the article rang a dissonent note in my mind. Read more. In Margot Lee Shetterly's story, Hidden Figures: The American Dream and the Untold Story of the Black Women Mathematicians Who Helped Win the Space Race, the main characters teach audiences about a little-known aspect of NASA's history. The story of Katherine G. Johnson, played by Taraji P. Henson, Dorothy Vaughan, played by Octavia Spencer, and Mary Jackson, Janelle Monáe, in the movie Hidden Figures, highlights the contributions of brilliant African American women in the space race of the 1950s and beyond. Katherine Johnson, known also as the human computer who advanced human rights with a slide rule and pencil, is recalled by NASA Chief Charles Bolden, who credits Johnson for the playing a key role in the Apollo 11 moon landing, and as a female African-American in the 1960s, shattered stereotypes in the process. 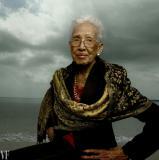 Katherine Johnson, photographed at Fort Monroe, in Hampton, Va. Photograph by Annie Leibovitz. Read more. At the request of grassroots-level faculty and staff Drupal users, who often are not technical web developers, training and documentation is now in the offing. Read more. 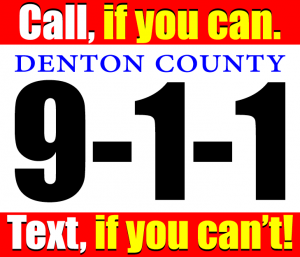 People who live in Denton County and Carrollton can now text their emergency to 911. DENCO Area 911 just brought a new system online that allows dispatchers to receive text messages directly on their screens in the various emergency communications centers within the agency's jurisdiction. Read more. Can we achieve a better, more effective digital workplace? As a confluence of new apps and devices steadily flow into the enterprise, some are encountering a growing sense that the digital workplace has become too complex and fragmented to be properly effective. What can organizations do? Read more. Editor's Note: Please note that information in each edition of Benchmarks Online is likely to change or degrade over time, especially the links to various websites. For current information on a specific topic, search the UNT website, UNT's UIT Help Desk or the world wide web. 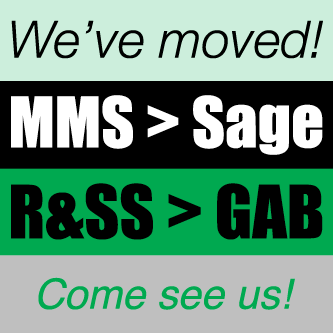 Email your questions and comments to the UNT University Information Technology Department or call 940-565-2324.